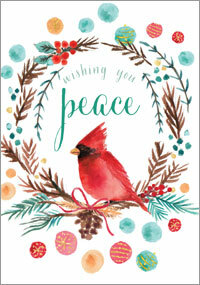 Personalized 5x7 holiday cards are a great way to connect with family and friends. With our "Design Online" feature, you can add your own, personalized holiday message. After selecting your printing options, click To Online Designer (green button below) to begin designing your 5x7 greeting card and envelope. Blank or printed envelopes are available. If you need help, click here for Design Online Instructions.